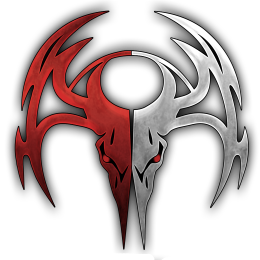 Whitetail Frenzy is a reality based hunting show focused on finding, hunting, and harvesting mature Whitetails in the Appalachian Mountains and other areas of the country not well know for producing Giant Bucks. Join the Davis Brothers Kenny and Aharon as they and the rest of the Frenzy Team take you on their roller coaster ride of highs and lows while chasing the majestic Whitetail. Whitetail Frenzy host Kenny Davis was born in Cabin Creek, WV. After a successful football career at West Virginia State University and graduating with a degree in criminal Justice, he went on to play a few years of professional and semi-professional football, even winning a couple national championships with the West Virginia Lightning. After leaving the gridiron, Kenny was able to devote more time to a lifelong passion of outdoor videography and bow hunting. He loves to travel across North America chasing big game with his Elite bow, but has made a name for himself as being one of the first and only people to consistently harvest mature whitetails on film in the Appalachian Mountains. Aharon is a fulltime Police Officer and when he’s not chasing bad guys he is playing chess with a mature whitetail. Since an early age he has enjoyed the outdoors and became obsessed with Whitetail hunting. Through trial and error over the years in the whitetail woods of the Appalachian Mountains, he has learned to develop a knack for locating and harvesting big mature whitetails. His love for the Whitetail hunting is contagious whether watching him on TV, listening to him during a seminar, or just sitting around a camp fire. Whitetail hunting is not just a few months out of the year for him, it’s a 365 day adventure.